I have not bought an art print for years. I used to buy posters from art exhibitions at museums. Today my collection is composed mostly of original paintings, engravings and signed artist proofs. Oh and of course my photography. My question is does anyone buy art prints and have them framed. 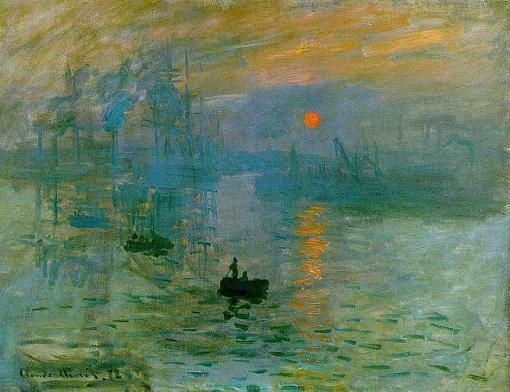 I recently saw a Monet that I love and had never seen beffore. I did not have time to visit the Monet museum in Paris or I would have seen it in person. Impression, soleil levant, 1872 is the painting I love. I doubt I could afford to purchase it from the museum. So I have been looking at prints. I am surprised in my shopping by the variations of color and size. I did want to buy the same size of the original and the correct color. My question is does anyone have a link to a place where they have purchased art prints and are pleased with the quality? This is what I am looking for in a print.